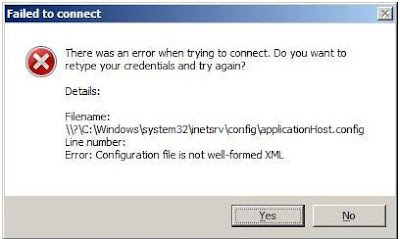 Performed an IIS reset, same error message. Restarted the server, same error message. Panic! The IIS was dead. So I looked inside the C:Windowssystem32inetservconfigapplicationHost.config folder and the applicationhost.config file size was 0 KB so I renamed that one to old_applicationhost.config and opened the history folder and selected the newest applicationhost.config file. Pasted it to the C:Windowssystem32inetservconfig and performed an IISRESET. Phew…. it’s all back again…. There is no way to replace the image with a css class, the only thing you can do is hide it with a new class that is called td.sbgo img and add the display:none to it. So you must create a new feature, which is really easy. Copy the OSearchBasicFeature folder in the Feature directory in the 12 hive. Now, in your masterpage just edit the Control Id of the aspcontentholder “PlaceHolderSearchArea” to your own Id (in this example LisesSearch). This post belongs to my issue described here which I have not found a solution to yet. Except from one of the issues: the login prompts! 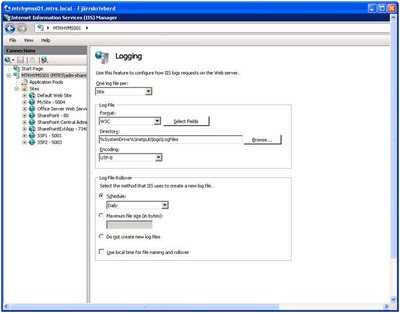 But, yesterday I laborated and found that there is a solution to nr 1 – the login prompts. If you stop the WebClient service on your Vista client, add your site as a Local intranet in IE and set your LAN settings in IE to “Automatically detect settings”, the login prompts will disappear!! If you don’t set your WebClient service to manual then you have to stop it each time you restart the PC so remember to turn it off and not just stop the service. I will register a case at MS to find a solution for the other issues.